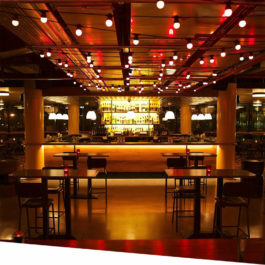 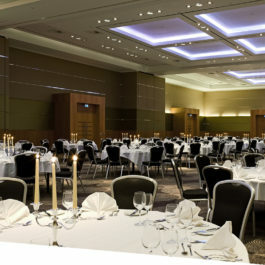 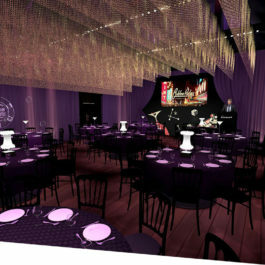 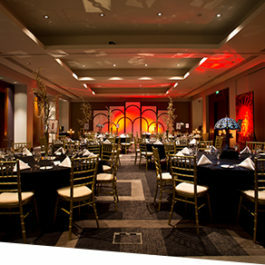 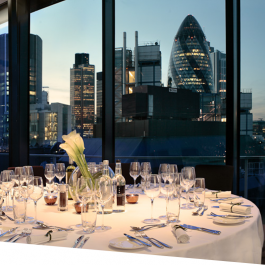 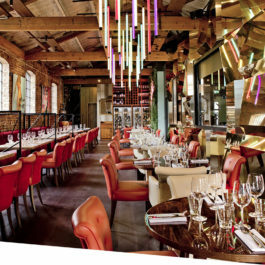 There are thousands of Christmas party venues in London that annually host office functions. 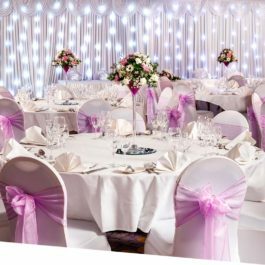 Whether you want a private venue or a shared party night, we can help. 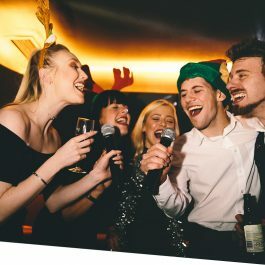 We offer a fantastic free venue finding service which helps you find your perfect work Christmas night out! 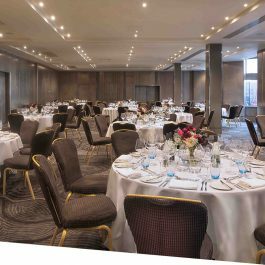 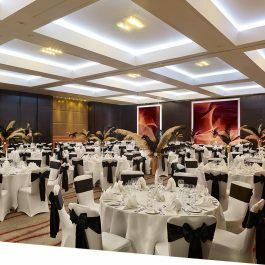 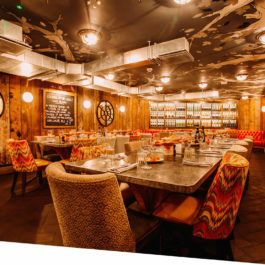 We understand that organising a work Christmas party can be a stressful task which is why our event team will find a venue that is capable of hosting your group, is near to your London office and can meet your request, whatever it is! 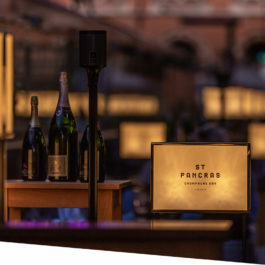 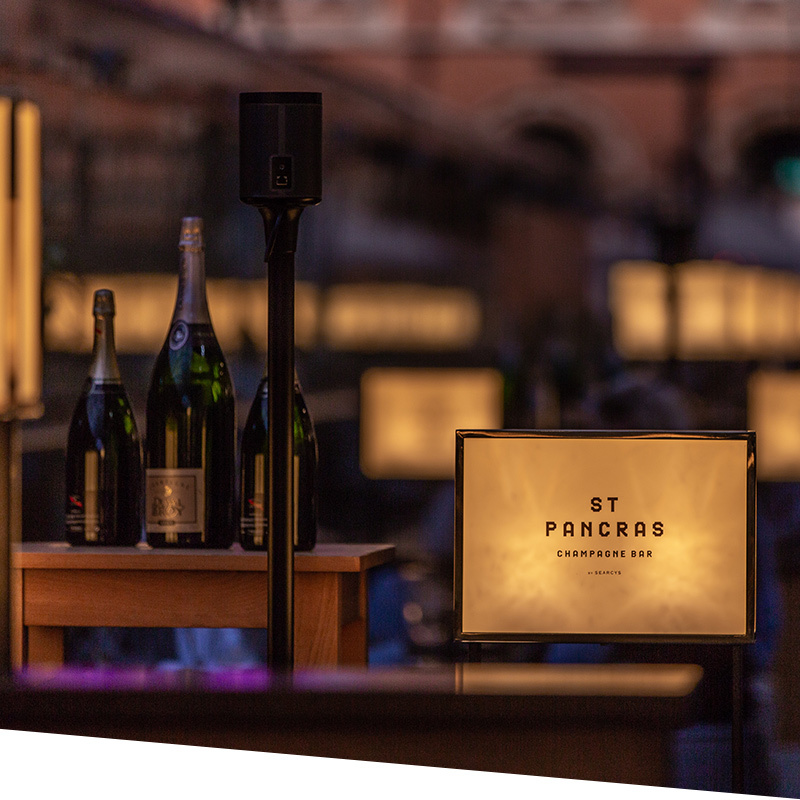 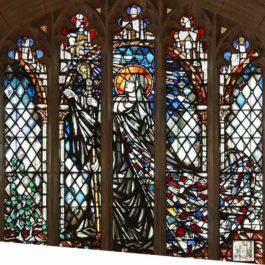 This December dine in the heart of the historic St Pancras International Station, home to the longest Champagne bar in Europe. 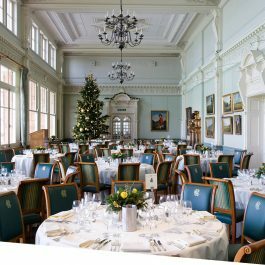 Bespoke Christmas parties are available in both the Brasserie for a sit down meal and dance, or a standing reception in our beautiful champagne bar. 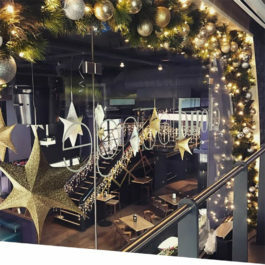 Experience Christmas with a twist at Zaman restaurant, part of The Sportsman Casino. 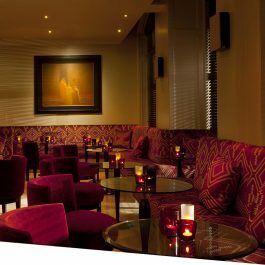 Enjoy a delicious three-course menu where no matter what you choose, your taste-buds will sing. 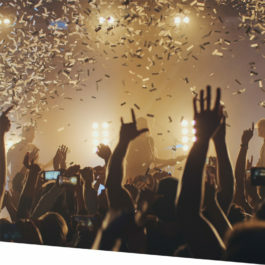 Our live singers and bands treat you to a medley of hits. 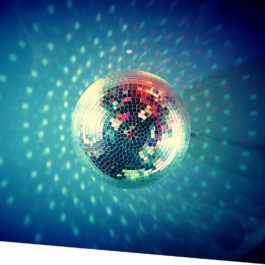 Later in the evening, join your friends or colleagues on the dance-floor while our resident DJ plays all the hits from the last few decades. 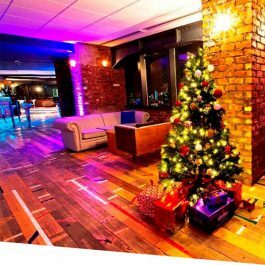 We invite you to a fun filled Christmas night out with a delicious 3 course dinner, followed by a disco to dance the night away. 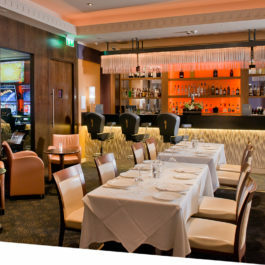 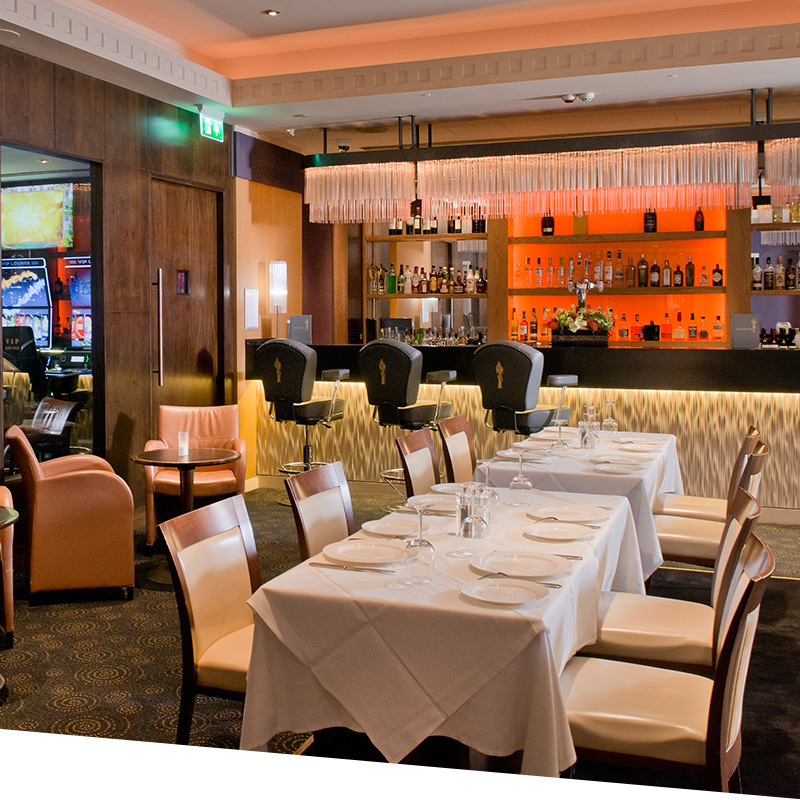 A warm welcome, exquisite menus and attentive service awaits you. 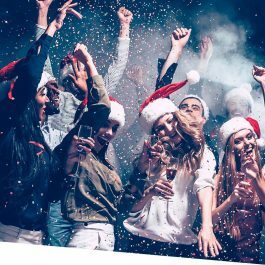 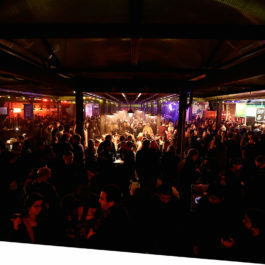 Shared party nights are a fantastic way of experiencing a mass-production Christmas event for a fraction of the cost. 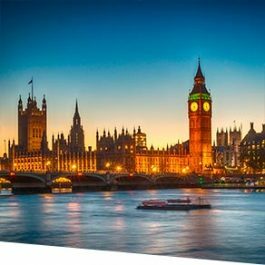 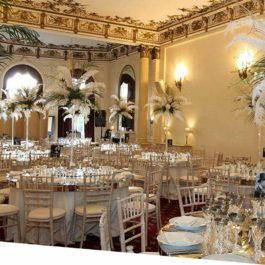 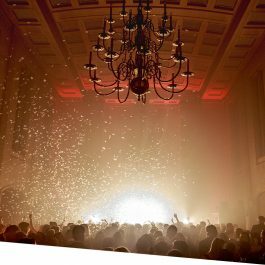 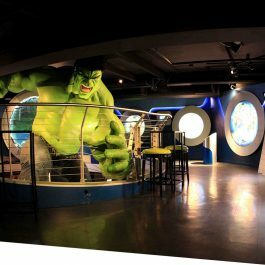 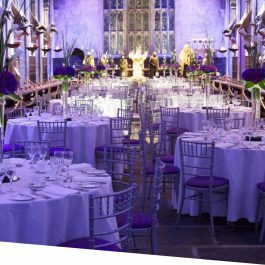 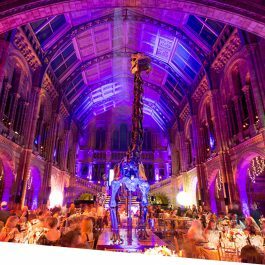 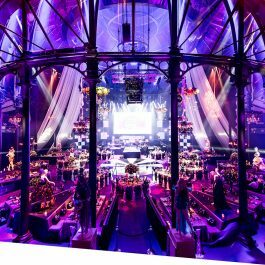 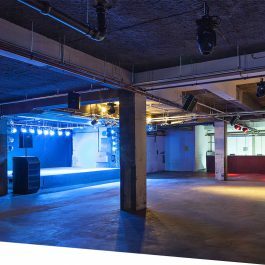 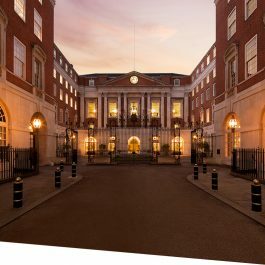 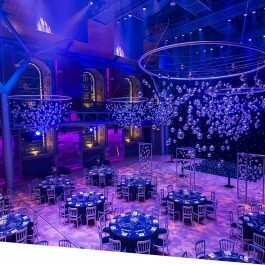 Most of London's most iconic venues are capable of holding thousands of guests at any given party so having a smaller group of 10-200 you won't be able to hire a giant venue privately. 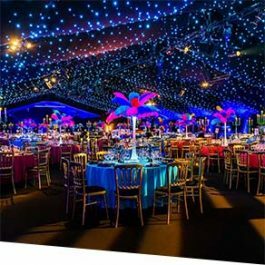 Shared parties allow you to party in a stunning venue and still have the phenomenal atmosphere of a sold-out mega-venue among thousands of other party-goers! 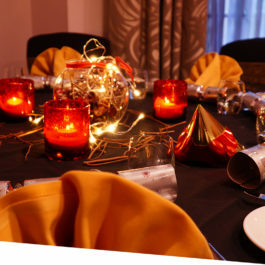 Most of the shared xmas parties have amazing themes that can provide a twist to your standard christmas function. 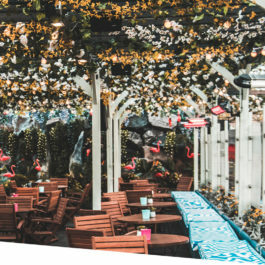 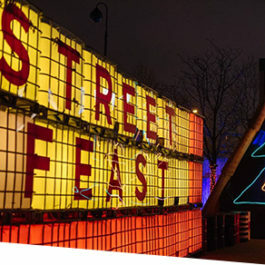 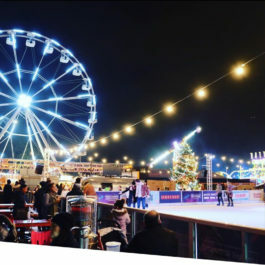 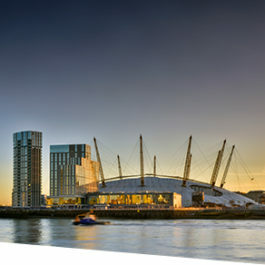 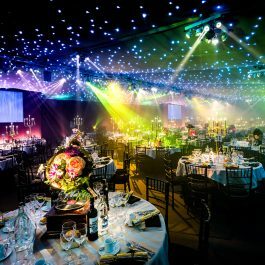 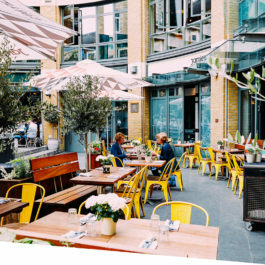 For example London's Battersea Evolution has previously hosted a Rio Carnival and an Apres Skii event that transform the venue into a brilliant new location. 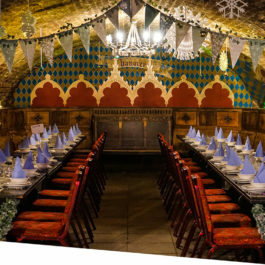 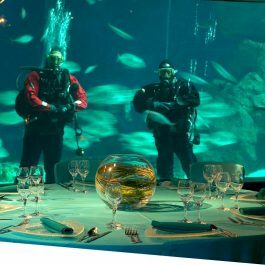 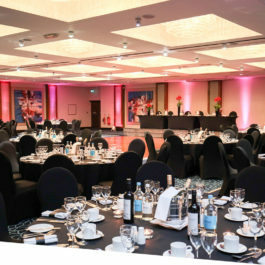 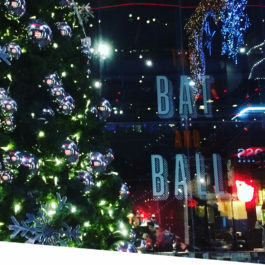 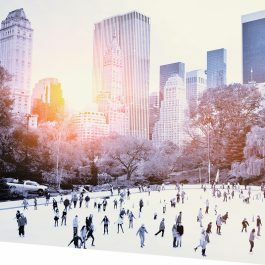 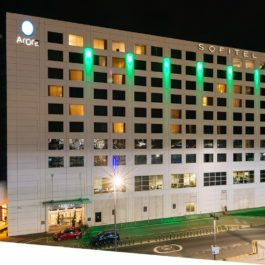 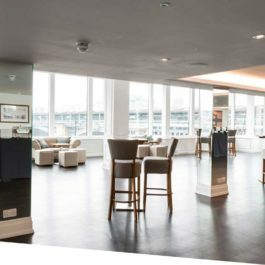 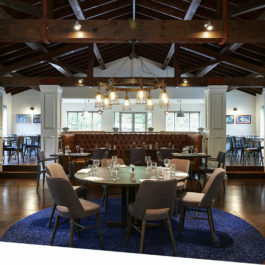 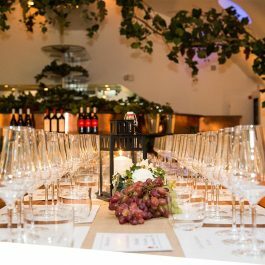 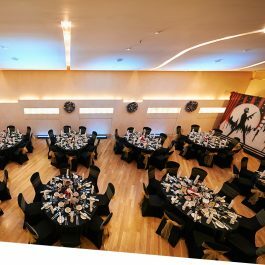 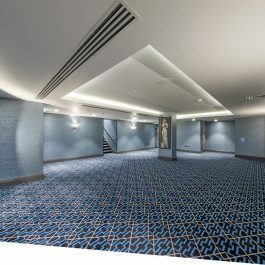 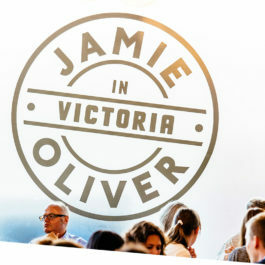 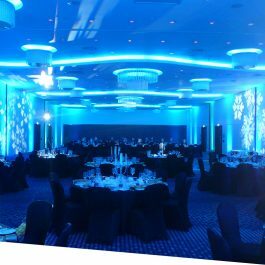 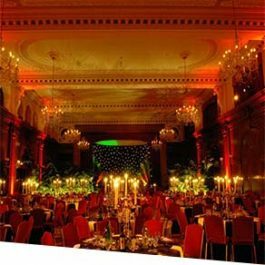 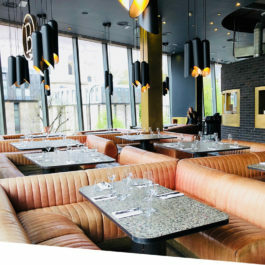 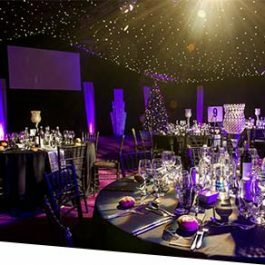 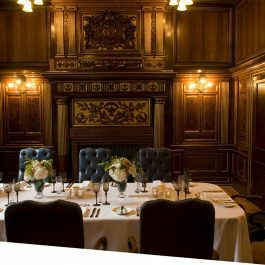 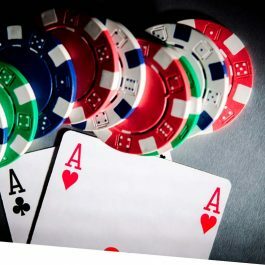 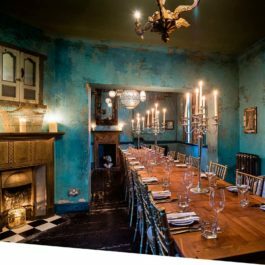 Hosting your corporate Christmas party in your own private venue offers an abundance of opportunities to make the event a special and unique occasion for your company. 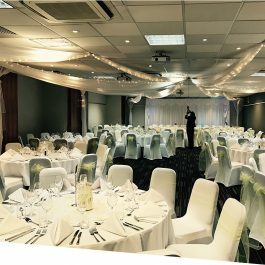 You can either book a venue with a pre-packaged party or create your own! 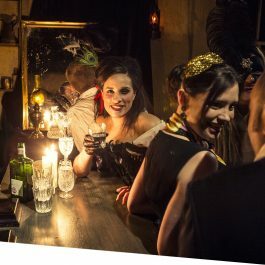 The off the shelf parties already come dressed with a theme, a loose itinerary and caterers already booked. 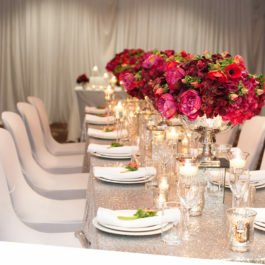 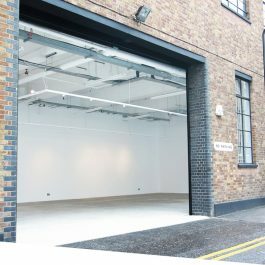 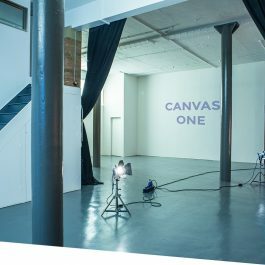 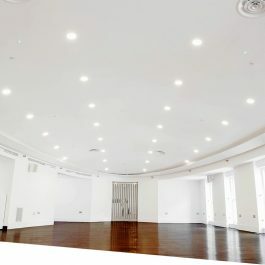 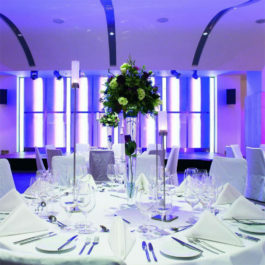 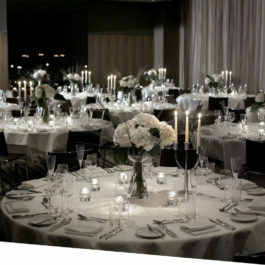 Alternatively, you can hire a white-space venue and bring in your own themes. 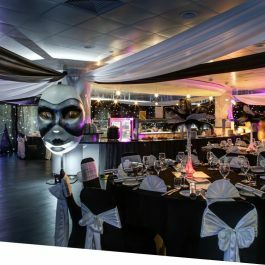 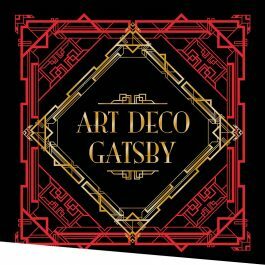 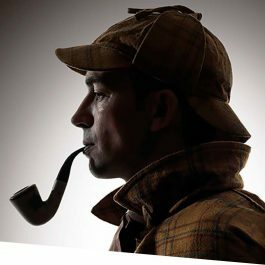 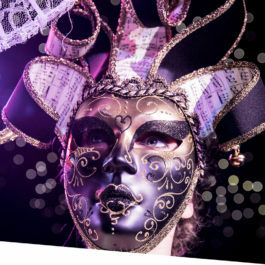 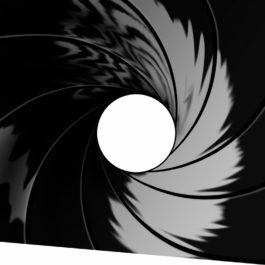 We have a selection of themes all ready to go or you can customise the event completely. 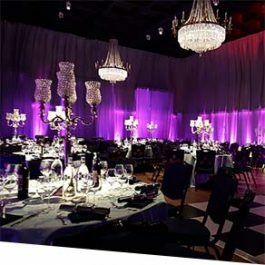 If you would like to do the latter please give one of our event coordinators a call and we can run you through some ideas. 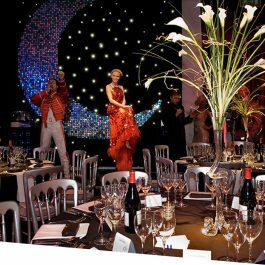 Most of our private parties in London can provide branded theming such as projections and table centrepieces. 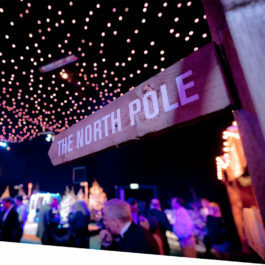 Wherever you're based in London, we have a Christmas party near you. 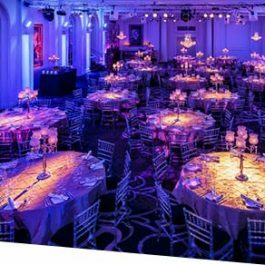 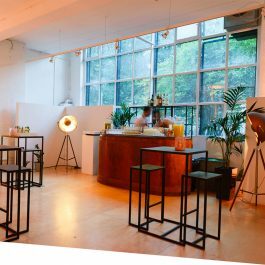 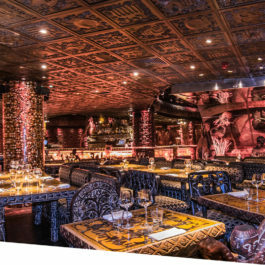 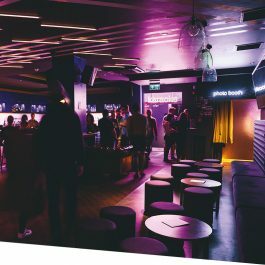 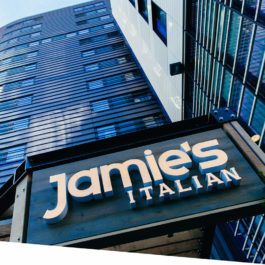 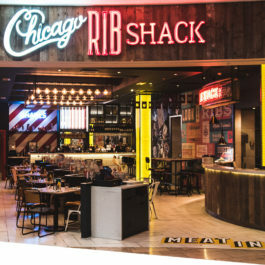 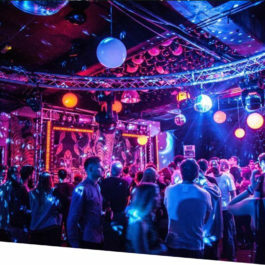 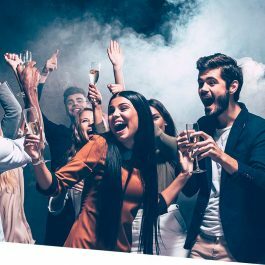 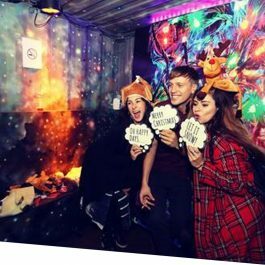 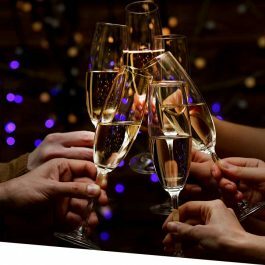 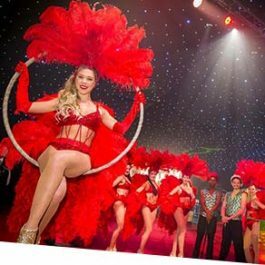 London venues capable of holding thousands exclusively or if you're a petite company of 10+ we can accommodate you with one of our shared party nights! 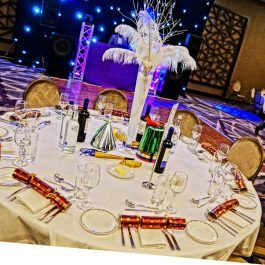 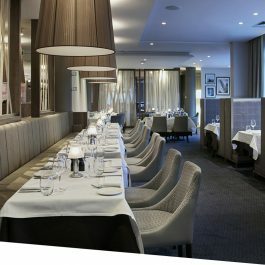 We work with plenty of hotels that offer work Christmas parties in one of their function rooms, these are capable of holding between 60 - 300 people. 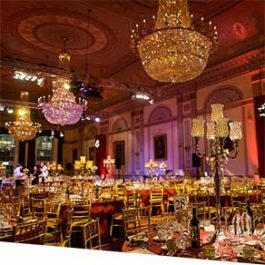 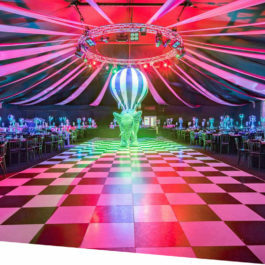 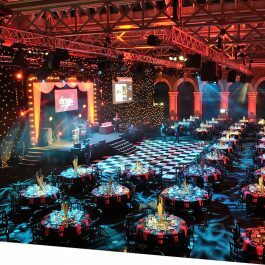 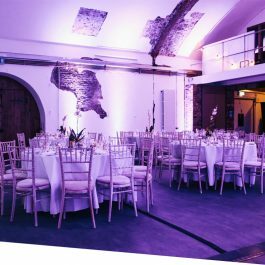 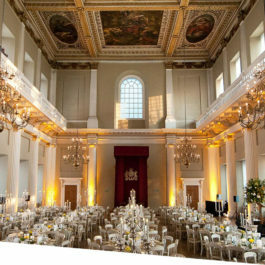 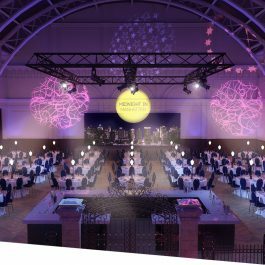 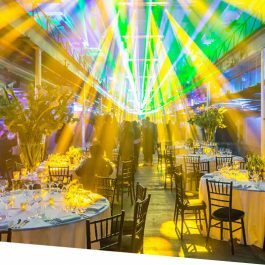 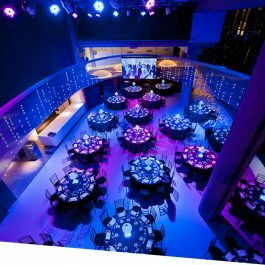 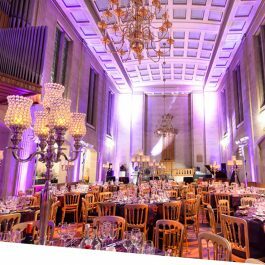 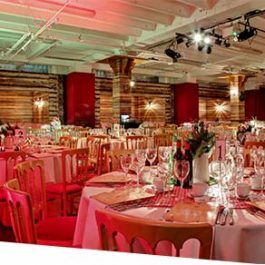 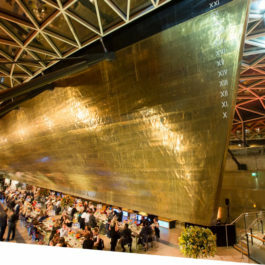 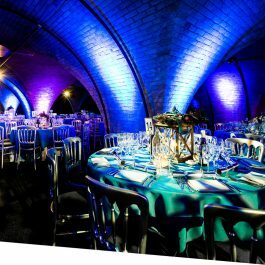 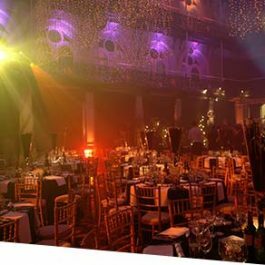 On the other side of the spectrum, we can offer a fabulous Christmas party in a historical building such as London Billingsgate which can hold up to a thousand guests each night. 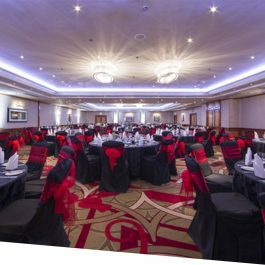 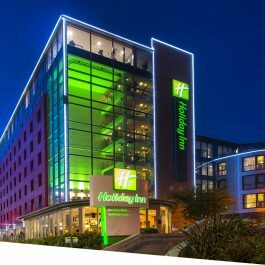 If you cannot find a venue to suit you, please give one of our event coordinators a call on 01273 856001 or use the Live Chat tool below and we will find a venue nearby, that's capable of hosting your group. 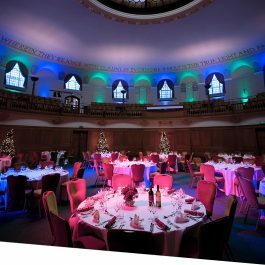 We're more than just a Christmas venue directory. 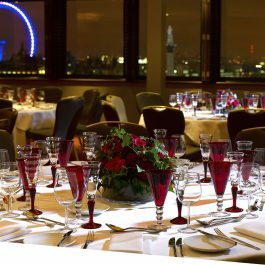 Why choose London for your corporate Christmas party? 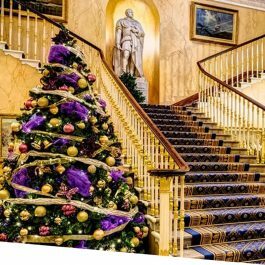 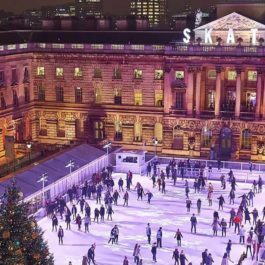 With the Christmas tree in Trafalgar Square and the lights of Regent Street, England’s capital city is a magical place around the festive period and is an excellent location to host Christmas celebrations. 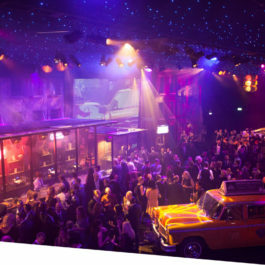 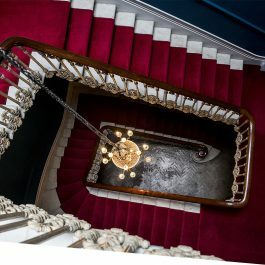 Christmas parties in London offer a huge choice as this city is certainly not short of venues. 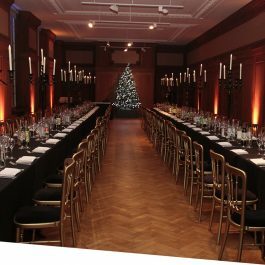 From themed extravaganzas to intimate private celebrations; London can cater for all manner of Christmas parties. 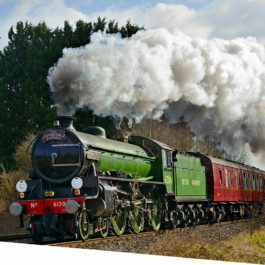 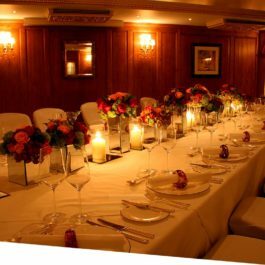 Our bespoke party service allows you to create an event tailored to your exact wishes and get the most from your budget. 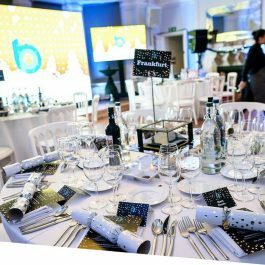 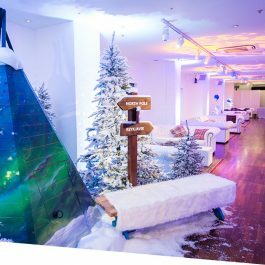 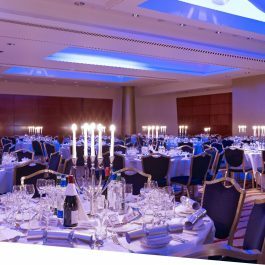 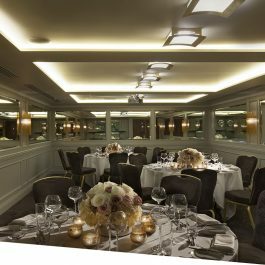 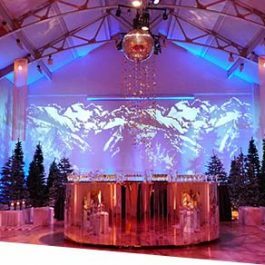 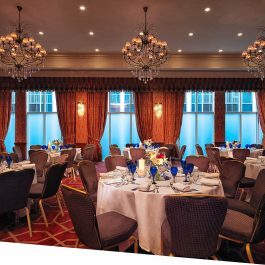 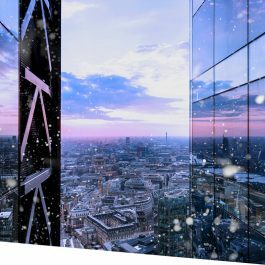 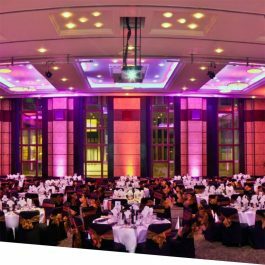 Whether you are looking for a shared party in a popular London hotel or a bespoke, large-scale exclusive event, London can cater for a sensational corporate Christmas event.